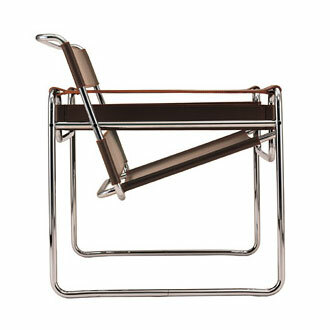 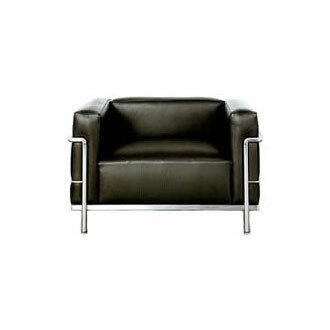 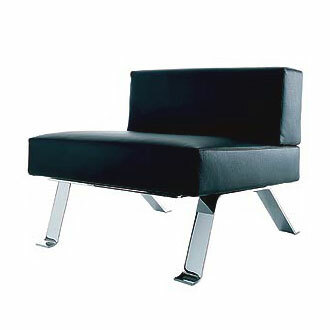 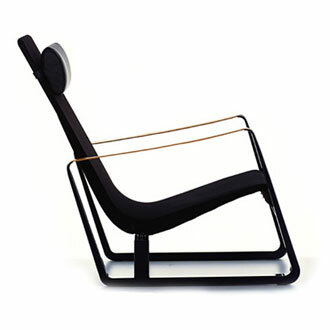 Many connoisseurs regard Antony as Prouvé's finest design. 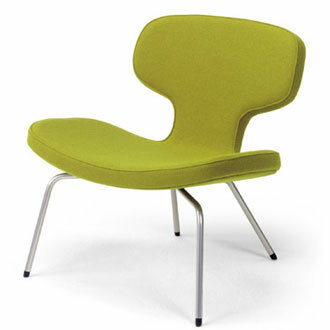 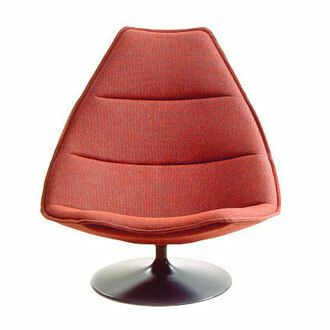 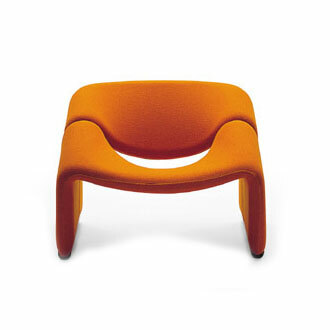 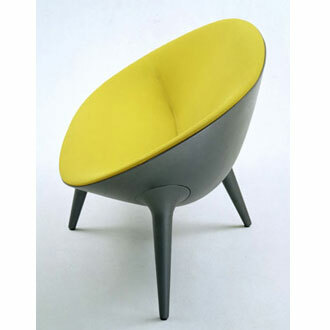 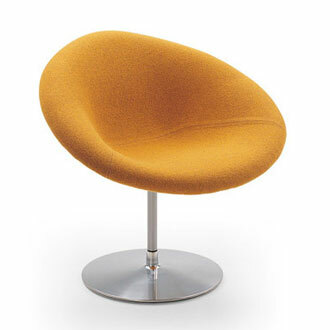 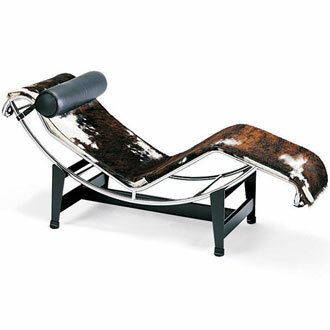 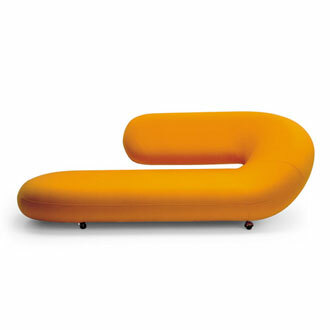 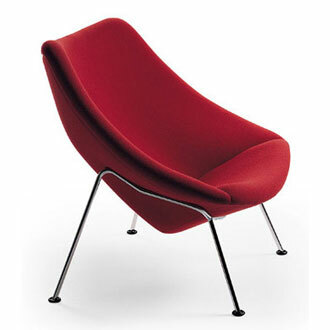 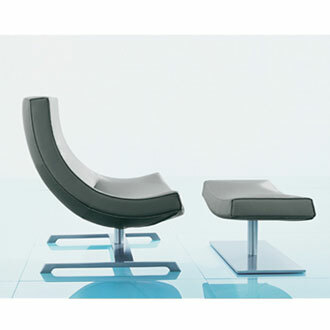 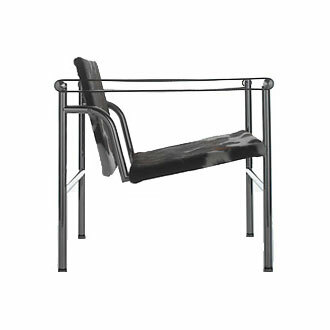 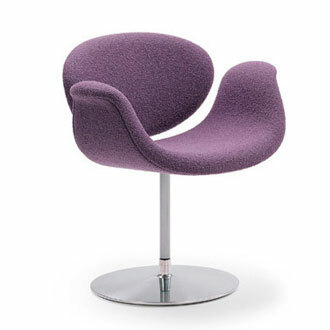 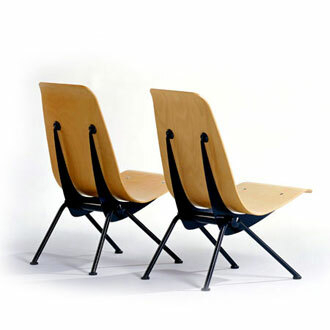 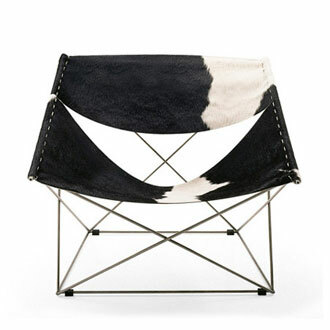 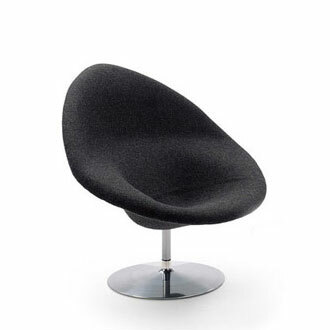 This chair stands out by virtue of its unconventional construction producing a sturdy yet dynamically curvaceous form. 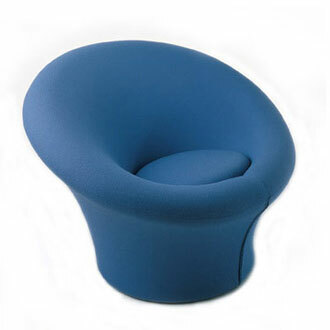 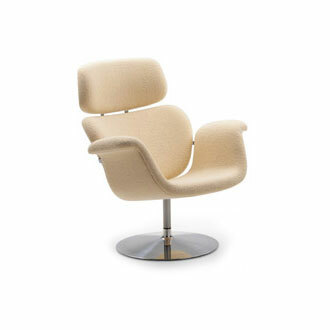 Antony is especially suited for the private sphere, but also finds an appropriate place in waiting areas. 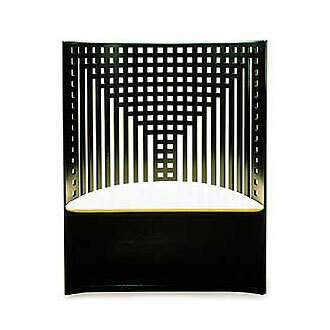 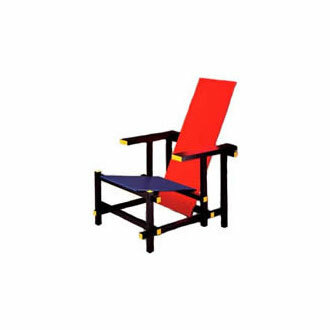 Frame made of black or cream, lacquered steel rods. 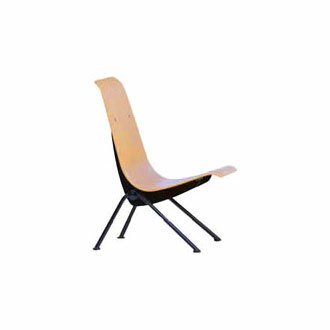 Seat shell made of molded wood in natural oak.